A Dallas judge unveiled three possible sites, two in Dallas and one in Grand Prairie, that could temporarily house about 2,000 children who entered the U.S. illegally without their parents, amid a dramatic spike in border crossings by undocumented children that has overwhelmed officials. Dallas County Judge Clay Jenkins detailed preliminary plans for housing the children at a briefing Thursday, citing three possible housing sites: Hulcy Middle School in Dallas, Parkland Hospital building 2420 in the 2400 block of Butler Street in Dallas and the Lamar School in Grand Prairie. "Here in North Texas, we don’t turn our back on children," Jenkins said. "This is about compassionate care of children." 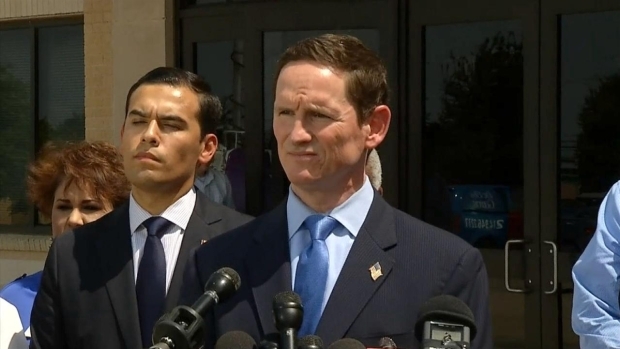 Dallas County Judge Clay Jenkins held a briefing Thursday to reveal the preliminary plan to shelter immigrant youth. None of the three proposed sites is currently in use, and they all must be vetted by the federal government before children can be housed there. Jenkins said he expected the children to start arriving by the end of the month. If housed in one of the sites, immigrant youth would not be allowed to leave the Dallas County housing locations, and services would be provided on-site. On Thursday, Dallas County Judge Clay Jenkins will provide details about how the county plans to help shelter 2,000 unaccompanied migrant children by the end of the month. Texas Gov. Rick Perry will also address the border crisis as he testifies before a congressional committee. Jenkins said more sites could be added, too, and community input will be considered. "One of the key components of the vetting process is to hear from the community," Jenkins said. "I think we're North Texans, and part of the reason for making this decision was by faith," he continued. "And it wasn’t just faith in God. It's faith in the people standing behind me, and it's faith in our community." 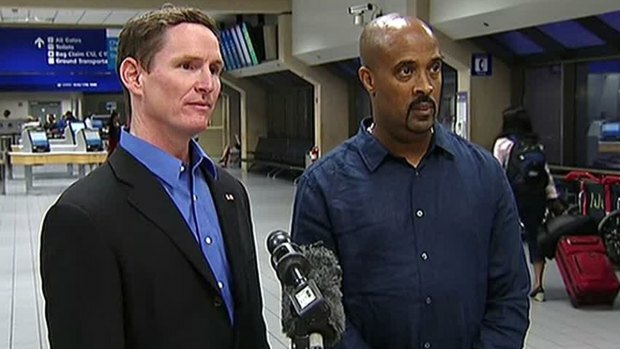 Dallas County Judge Clay Jenkins and Pastor Frederick Haynes of Friendship-West Baptist Church answer media questions after returning to Dallas-Fort Worth International Airport from a trip to McAllen to tour federal facilities housing unaccompanied minors who have crossed the Texas-Mexico border. Jenkins has repeatedly dismissed his critics and said his aim is to help the children. "I don’t think North Texas will turn its back on children. Anytime you have 7 million people, there are going to be some people that are upset," he said. "But this is about compassionate care of children, and I think as a community we're going to be able to stand together and be proud that we have done what's right for these children." On Wednesday, Jenkins, state Sen. Royce West and Pastor Frederick Haynes traveled to McAllen for a first-hand view of the unfolding immigration crisis. 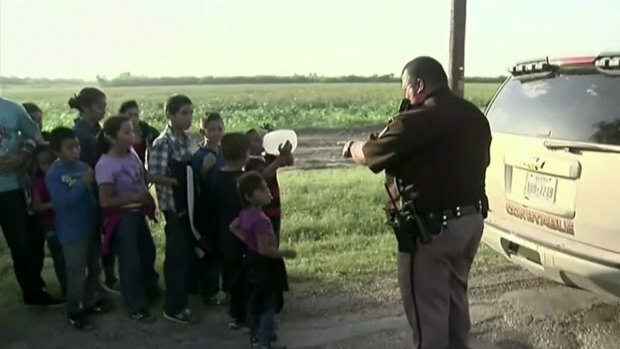 More than 52,000 unaccompanied children have been apprehended since October. Three-fourths of them are from Honduras, Guatemala and El Salvador, and many say they are fleeing pervasive gang violence and crushing poverty. Jenkins said the issue is helping children in need – not immigration – and he added that the federal government will pay the full cost. NBC 5's Ken Kalthoff and Reginald Hardwick contributed to this report.